Please submit the form entirely completed either by mail (with sufficient postage please) or in person to the school. Kindergarten (K1) Interview Day takes place on 17th November, 2018. After November, you can schedule interviews for K1-K3 students with the school. If Non-Chinese Speaking Family need to have the translator service,please inform the school office when parents submit the application form for the arrangement. Education Bureau (EDB) will implement the Free Quality KindergartenEducation policy starting from the 2019/20 school year to replace theexisting “Pre-primary Education Voucher Scheme”. Under the newScheme, EDB will use the “Registration Certificate for Kindergarten Admission” as the document for registration in the 2018/19 school year. 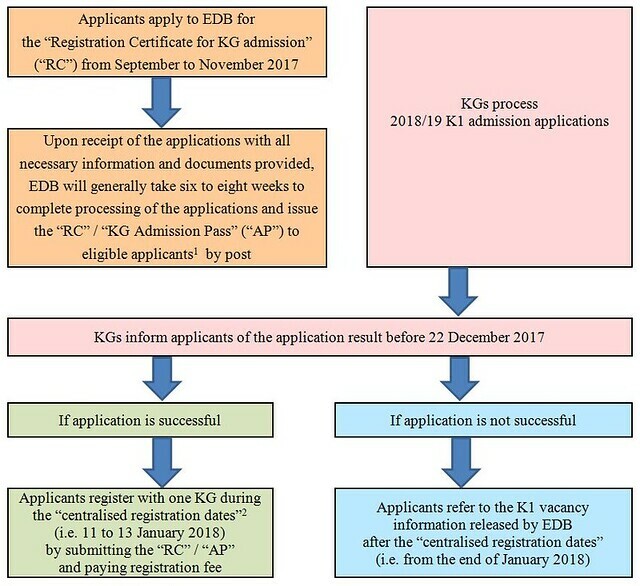 Parents are required to submit an application for the “2019/20Registration Certificate for Kindergarten Admission” (hereafter referred as “2019/20 RC”) to EDB from Sept to Nov2018.The “2019/20 RC” will be opened for applications in Sept 2018 that EDB will announce and upload the details of application onto EDB’s website in due course. The following is a list of criteria that is used during interviews with the students: manners, ability to follow the rules, emotional state, responsiveness, activities, investment and participation. the original of the “2019/20 RC” to the kindergarten and pay registration fee. Applicants on waiting list: Parents should complete the registration procedures for their children according to the appointed date and time set by the school.Parents are required to submit the original of the “2019/20 RC” to the kindergarten and pay the registration fee. The Registration Fee for 2019/20 K1 place .For half day class is HK$970 . For whole day class is HK$1,500. Parents are required to submit application for the “19/20 RC” in order to meet and submit the school registration date and the “2019/2020 RC” respectively for completion. Should parents decide to change school after registration, please inform the kindergarten in writing. The school will return the“2019/20 RC” but the registration fee will not be refunded. Upon obtaining the “2019/20 RC”, the kindergarten will no longer keep the school place for the child. The registration fee will be reimbursed from the first month school fee of the student’s entry. A difference will be charged or refunded accordingly. Participates Free Quality Kindergarten Education Scheme. All data is kept confidential and for application purposes only. There is no return of submitted documents including photos, photocopies, or application forms. * For inquiries, please contact our school at 2898 2128.